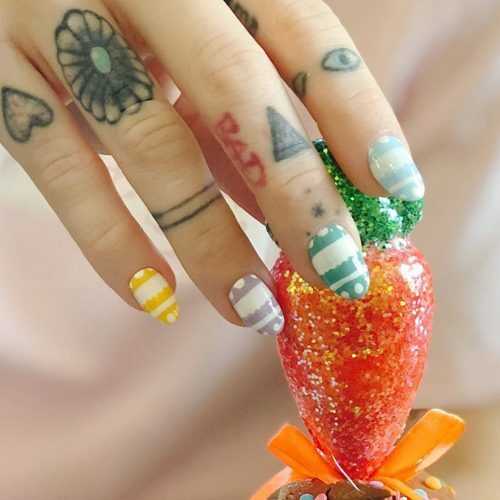 Miley Cyrus wearing themed Easter egg manicure with stripes. 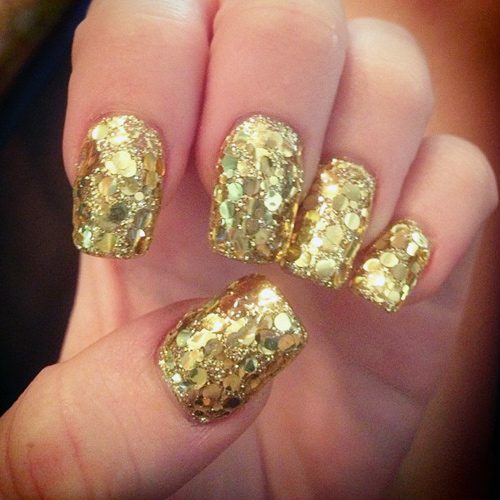 Miley Cyrus sports a full gold sparkling manicure. 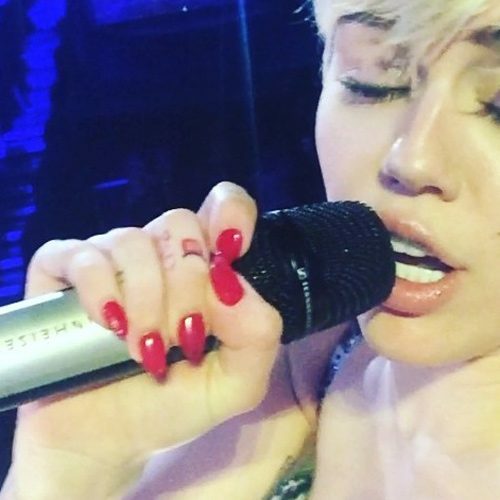 Miley Cyrus painted her nails in red lacquer for a chic, iconic look. 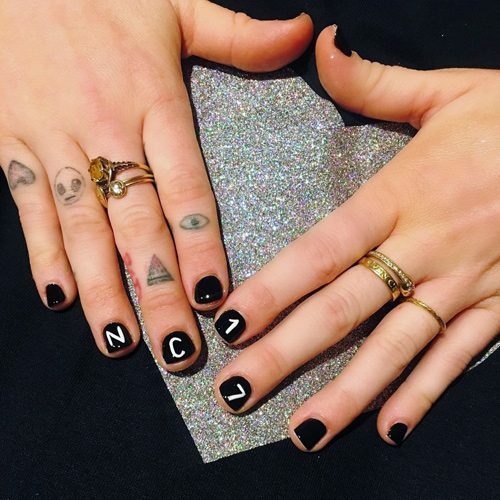 Miley Cyrus wears long, almond nails painted in light yellow lacquer. 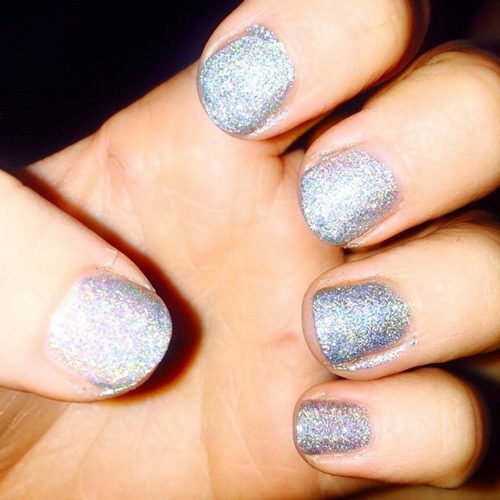 Miley Cyrus kept her nails simple with a short, glittery manicure. 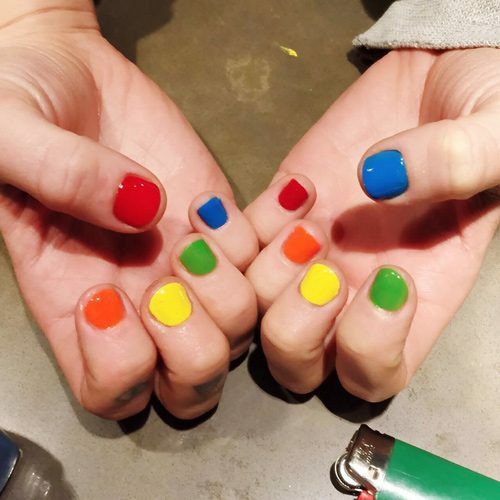 Miley Cyrus wore a colorful manicure that made us think of M&M colorful candies. 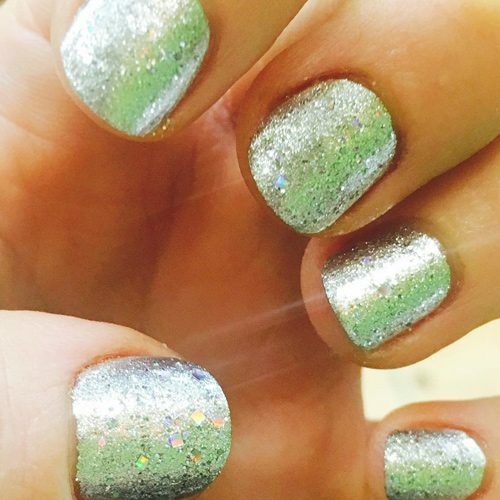 Miley Cyrus sports glittery green manicure. 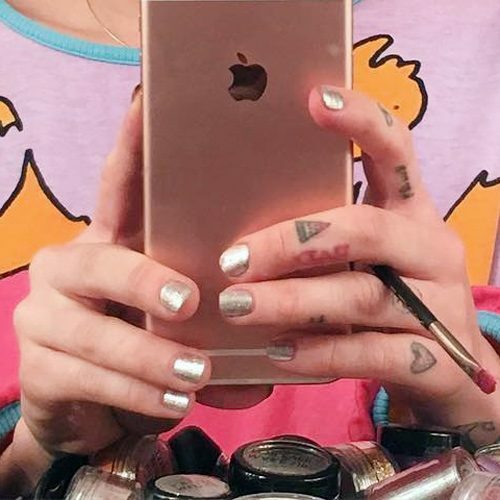 Miley Cyrus wore a shiny gold shade on her short nails.